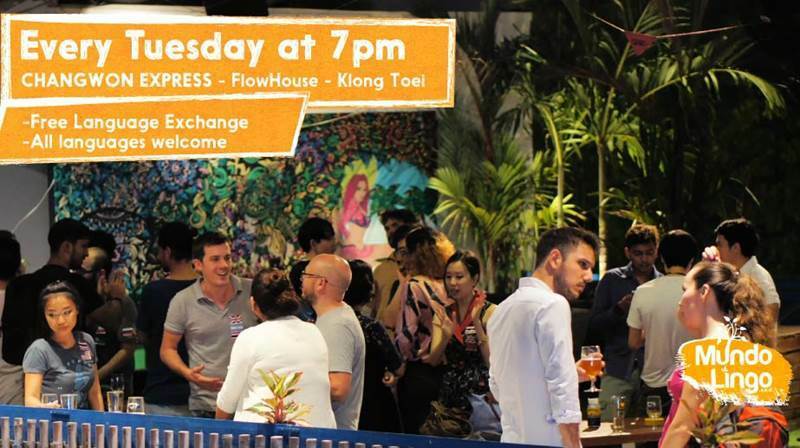 We are a group of over 100 people from all around the world, (locals and internationals) who get together to practice languages, make friends and have a good time. We have flag stickers of almost every country/region that you can think of. It's for all language levels and all nationalities. - Native language at the top and weakest at the bottom. We meet at Bangkok's only bar you can surf in. Find us gathered upstairs. The bar serves up a variety of delicious craft beers, soft drinks and awesome food. Taxi: Tell the taxi driver to go to "K-village". It's right next to "A-square" where Flow House is.